Dr Brain can't believe what happened, and neither can THE BEHOLDER! Back to regular programming next week! As this year is coming to an end, I wanted to do something special and incorporate some of the artists that I met this year on DeviantArt, or their OCs, and bring them together with my characters, and add some old friends of The BEHOLDER universe as well! Tales To Behold 5, Page 15: Surprise! Just a normal night at a super-villains home. 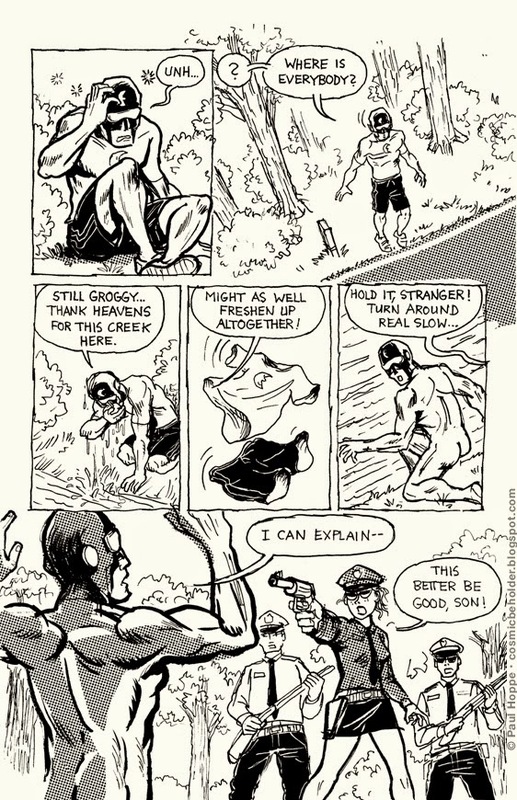 Continuing the short story "The Sleepover"
No better way to end an adventure of super-heroics! Next time: Back in New York! P.S. The middle panel is an homage to X-Men Vol. 1 #109, shortly before Weapon Alpha attacks them. One of the first Marvel stories I read. Tales To Behold 5, Page 11: Say No To Druggo! Today's title is by reader RazorD9, creator of the webcomic DDSR. I could have not thought of anything better. Tales To Behold 5, Page 10: Whok! Raah! Whudd! Blue Knight is jumping into action! Do you remember his / her first appearance? 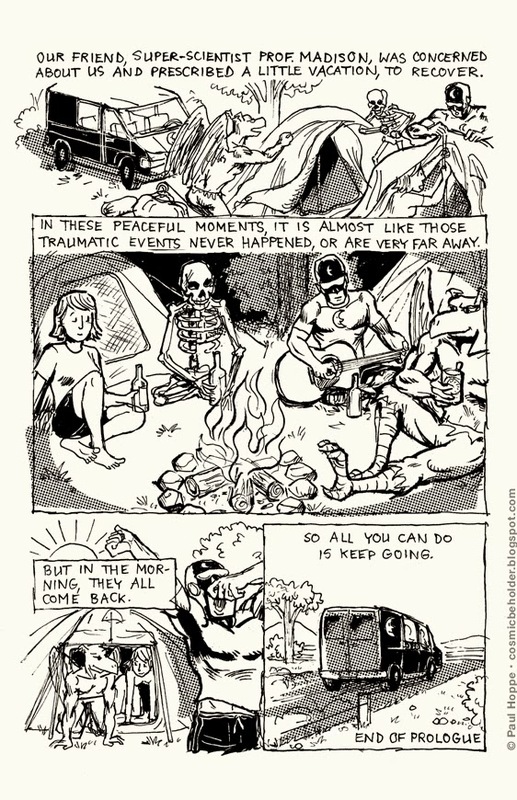 Tales To Behold 5, Page 9: Druggo! Indeed! It wasn't a coyote, it was Druggo! 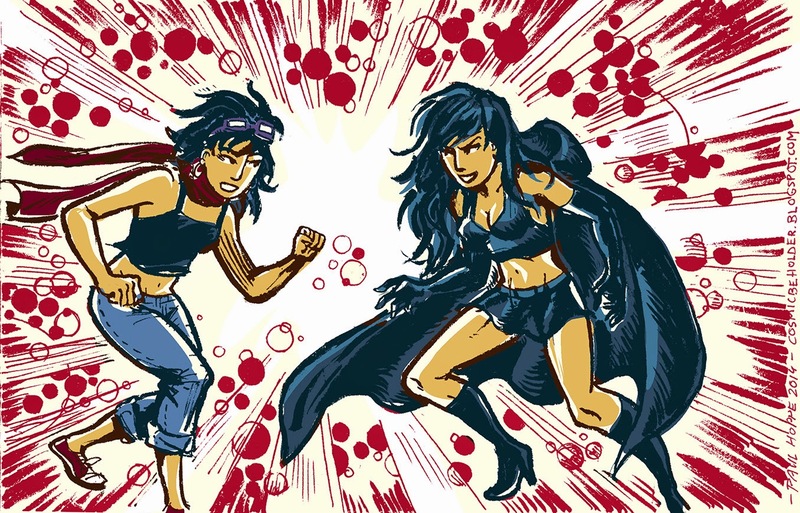 Battle of the Shifters– Jenny Everywhere vs Jenny Nowhere! 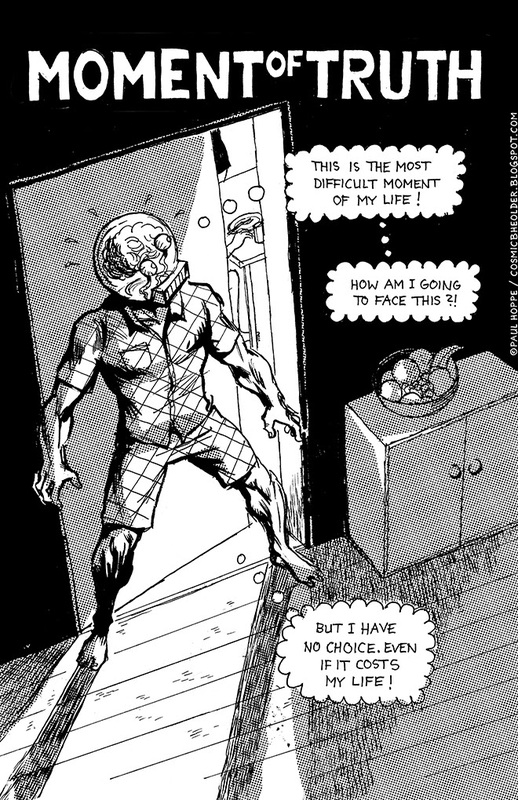 The ending of Tales To Behold 4 was shocking– and then a bit ambiguous… Because sometimes there are no answers! But wouldn’t it be fun to have the real Jenny Everywhere return to kick this evil doppelganger’s @$$! The characters of Jenny Everywhere and Jenny Nowhere are available for use by anyone, with only one condition. This paragraph must be included in any publication involving Jenny Everywhere and Jenny Nowhere, in order that others may use this property as they wish. All rights reversed. Tales To Behold 5, Page 8: Explanations and Attacks! 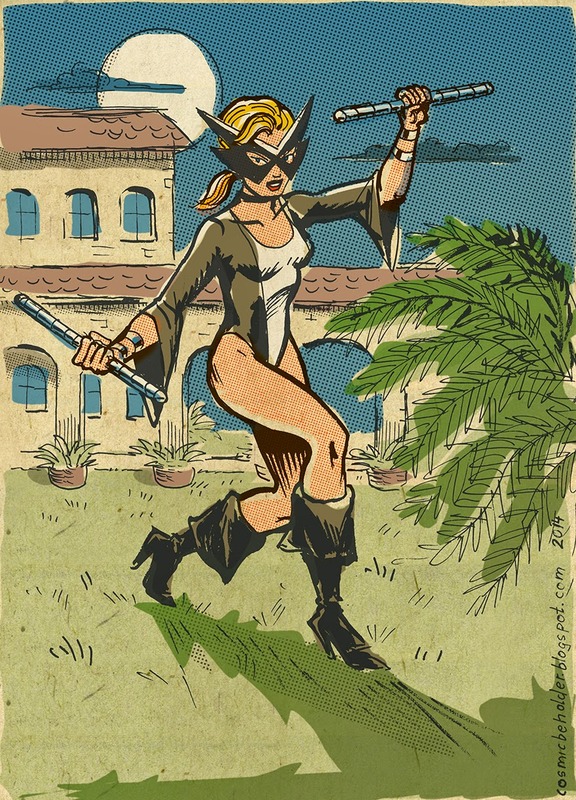 Mockingbird, from the days of the West Coast Avengers! Always loved the shorter hair with ponytail– Oh those sunny days in California, clashing with Graviton and the Zodiac Gang… arguing with Hawkeye…good times. Tales To Behold 5, Page 7: We Have To What? What a rough awakening– but at least everybody is together again! And doomed. 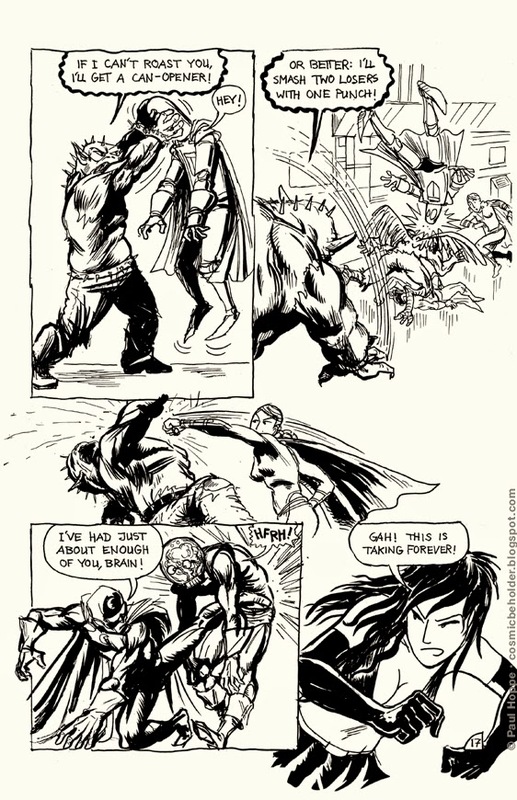 Forgot to post this one here on the blog- originally published on tumblr1980s style Wasp, inspired by the iconic Avengers run by Stern, Buscema and Palmer, which included the famous “Under Siege” storyline and “Assault on Olympus”. 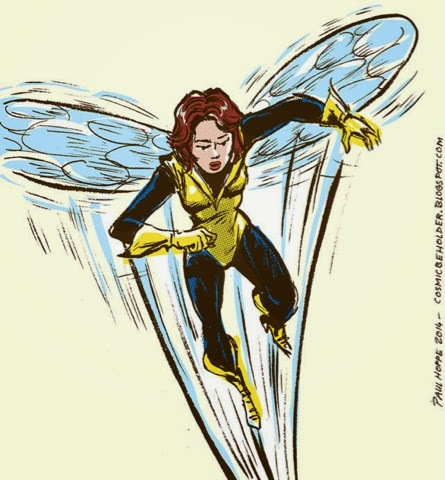 She was the leader of the team at the time.I also did an homage to the full 1980s team, and a Hercules solo pic, and recreations of a 1960s, 1970s, 1990s and 2000s style Wasp. The Police Officer has some mad skills… and we finally found our friends! 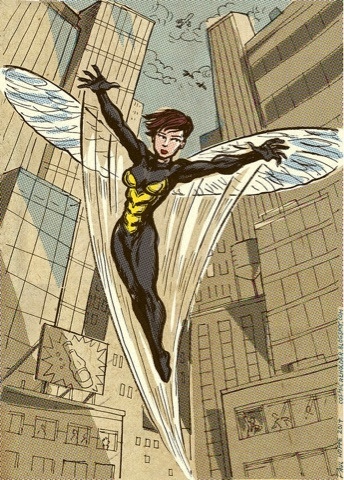 Janet van Dyne aka The Wasp, in her 2000s incarnation. I kind of missed that decade in comics. 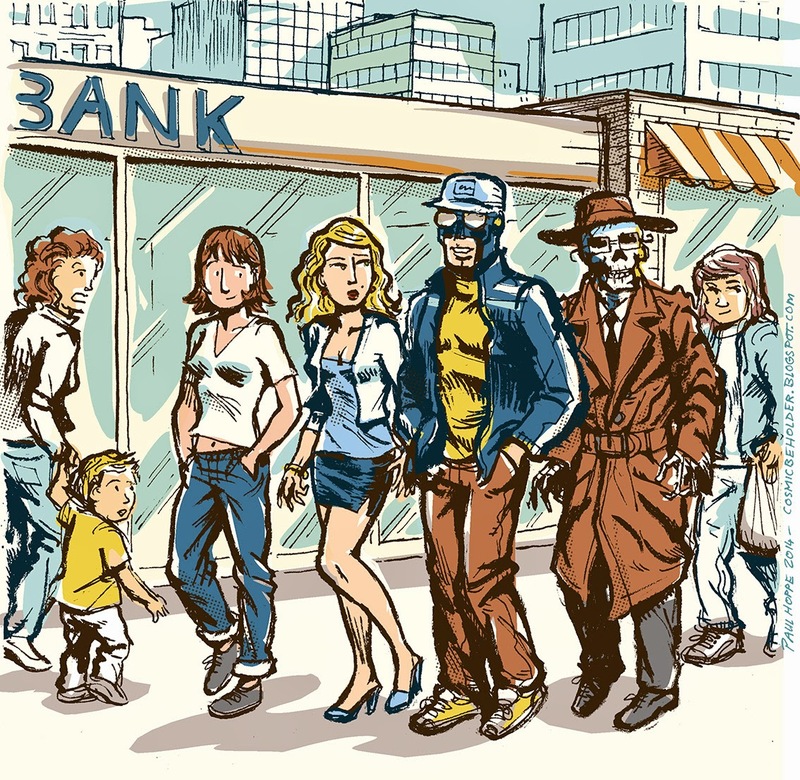 That’s when the Marvel Universe became very grim… But her costume was kinda cool! 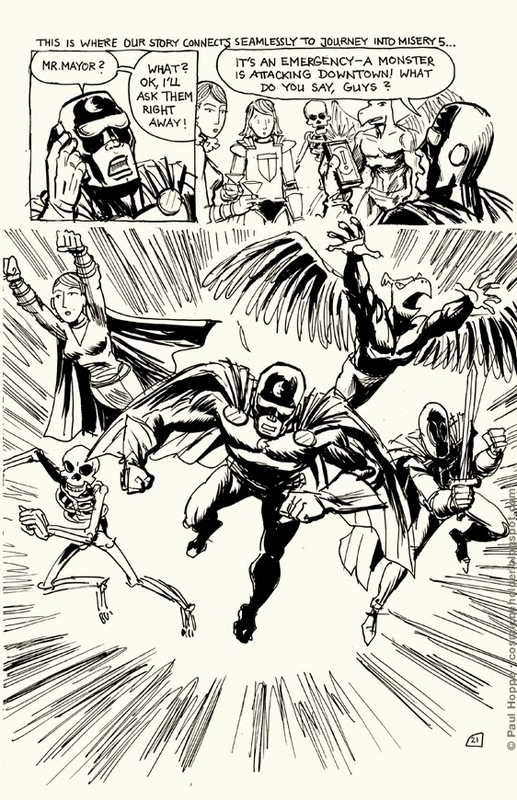 Continuation of my homages to this Avengers founding member’s designs throughout the decades. I already did pieces showcasing her looks of the 1960s, 1970s,1980s, and 1990s. Tales To Behold 5, Page 4: This Better Be Good, Son! How long will the peace and quiet last? Only till Thursday. 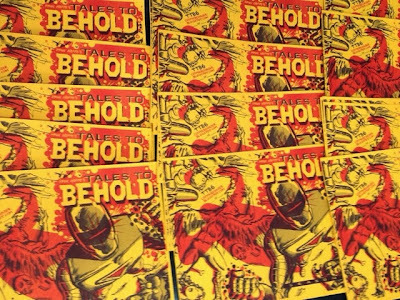 Tales To behold 5 begins tomorrow on THE BEHOLDER! Season 2 of THE BEHOLDER begins tomorrow! Read the further adventures of Captain Evening, Merv The Griffin, Blue Knight, Armstrong Fatbuckle and all their other amazing friends! that opens all-new possibilities for the future! How better to celebrate it than with some sassy witches! Jesse in the middle is the daughter arch-villain Dr Brain from Tales To Behold. And Alicia and Babs are her so-called best friends from NYU, where they all study Witchcraft with a Minor in Super-Villainy. Jesse’s first appearance was in Tales To Behold 2, and together they first appeared in Journey Into Misery 4 as interns for Kelly (who would alter become the Invincible Woman) at a Financial Investment Firm. 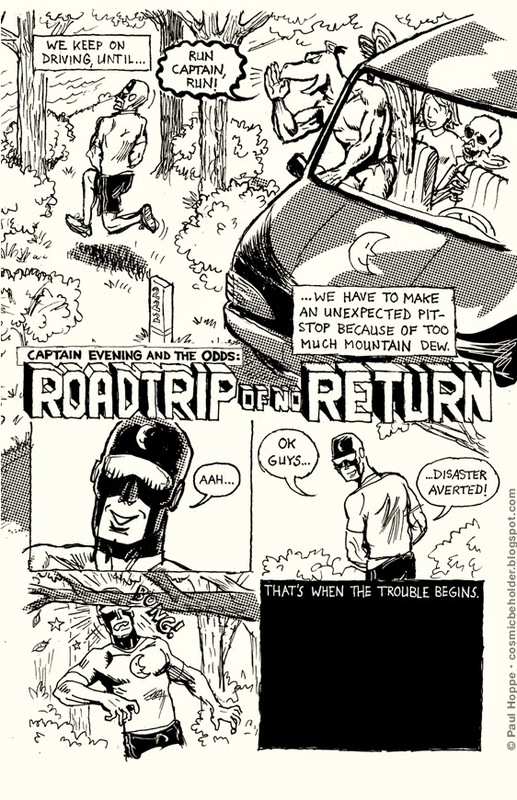 They play a big role in the brand-new Tales To Behold 6, coming out at Comic Arts Brooklyn 2014! 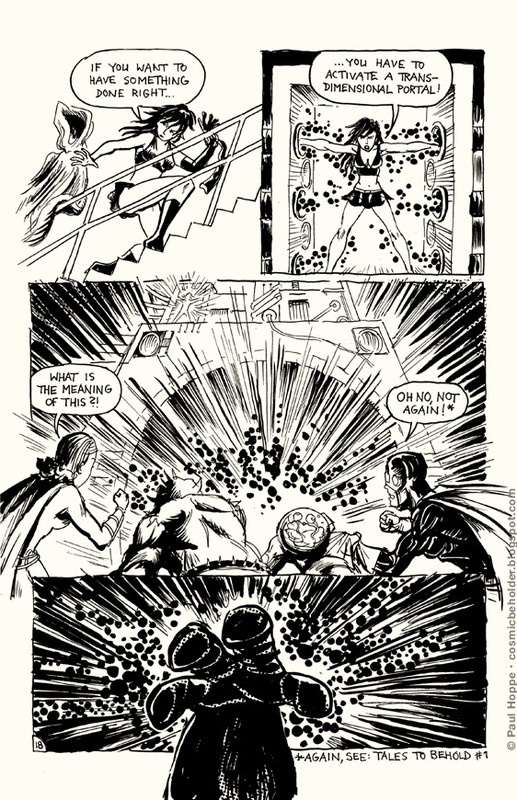 the storyline converges with the last issue of Journey Into Misery. Now you know where they were coming from, and why Jenny was missing. You can read that story now with new excitement. Or come back on Monday for the Epilogue to the Epilogue. Tales To Behold 4, Page 48: The End? What? It looks almost like the Odds are disbanding? 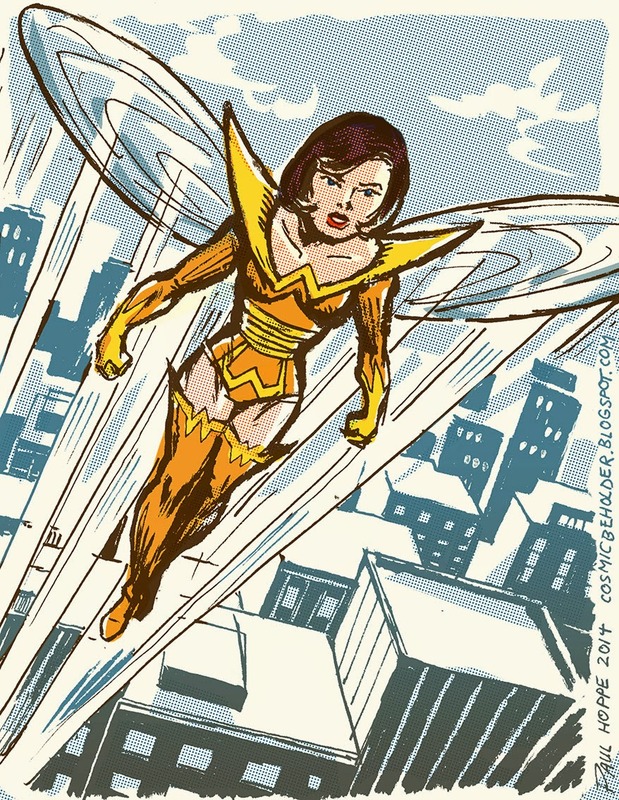 Janet Van Dyne aka The Wasp from the Avengers comics, as she was seen in the 1970s. 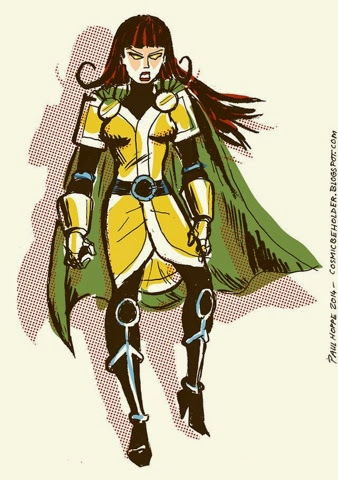 In the 70s and early 80s, she changed her costume all the time, but she wore this during the famous Korvac Saga in Avengers Vol 1, #167-177 (1977/78). Continuation of my homages to Jan’s designs throughout the decades, I already did pieces showcasing her looks of the 1960s, 1980s, and 1990s. Despite being the only female founding member, and a leader of the team throughout various eras, she will not be appearing in the Marvel Avengers movies, though they might revamp her as a different character. 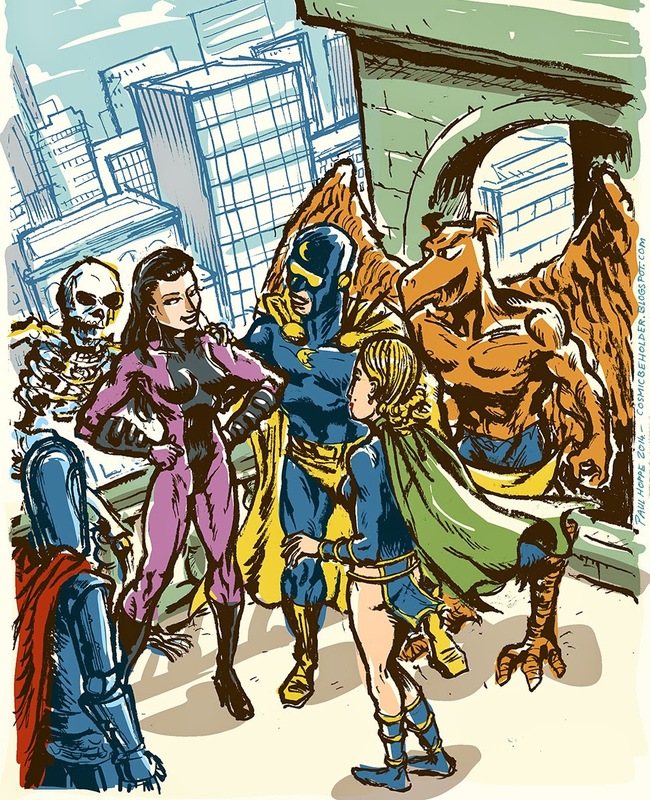 Captain Evening and The Odds are meeting a rising super-hero star called Kate Five, from the fictional city of Angel Falls. Everyone is quite taken with her (especially Armstrong Fatbuckle) and they even invite her to their secret Fortress Of Evening, enjoying the view of Manhattan (hey, they even put some pants on! Though once the sun comes out, that will probably change drastically). 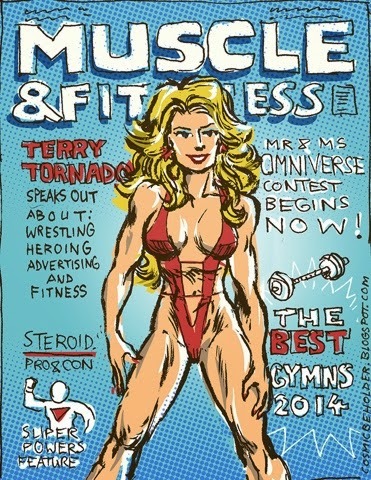 Woot, Terry Tornado is featured on the cover of this month's Muscle & Fitness magazine! During an undercover assignment of Captain Evening and The Odds: the disguises of the female team members are slightly less conspicuous. Featuring Blue Knight, Centennia, Captain Evening and the Living Skeleton. Swing by to read their adventures here on THE BEHOLDER! 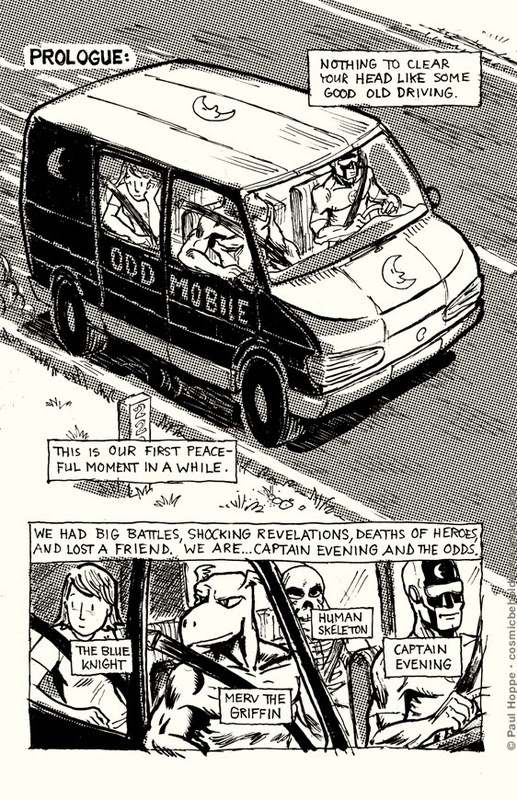 Or order finely hand-crafted Tales To Behold comic zines from BirdCageBottom Books! 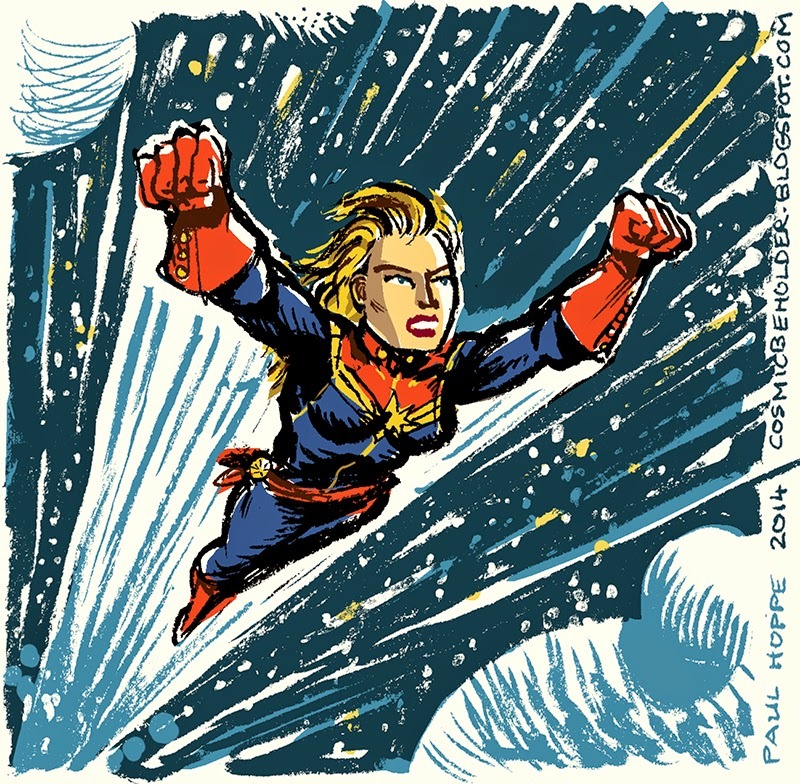 Quick drawing of Carol Danvers, aka Captain Marvel, formerly known as Ms Marvel, Binary, Warbird. Currently, she's in space having awesome adventures written by Kelly Sue DeConnick. This is a rather small drawing, drawn mostly with a rough brush pen on simple paper. The colors are what make it pop, using a more conservative, full color approach on the figure, while just coloring the line for the background. Here are all my other Captain Marvel pieces. 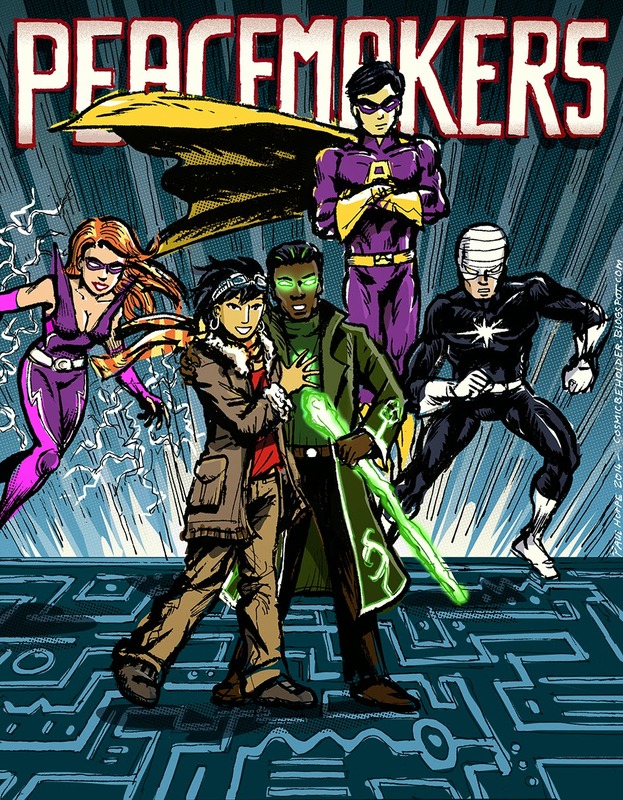 The Peacemakers are a team of Public Domain / Open Source Characters originally assembled on the Free Universe Forum. Various creators contributed their characters and collaborated to create a interesting team that could save the universe, fight the bad guys, or just bicker amongst themselves. The characters are Flux, Jenny Everywhere, Dr. Acacia, Astro-Man and Outworlder. 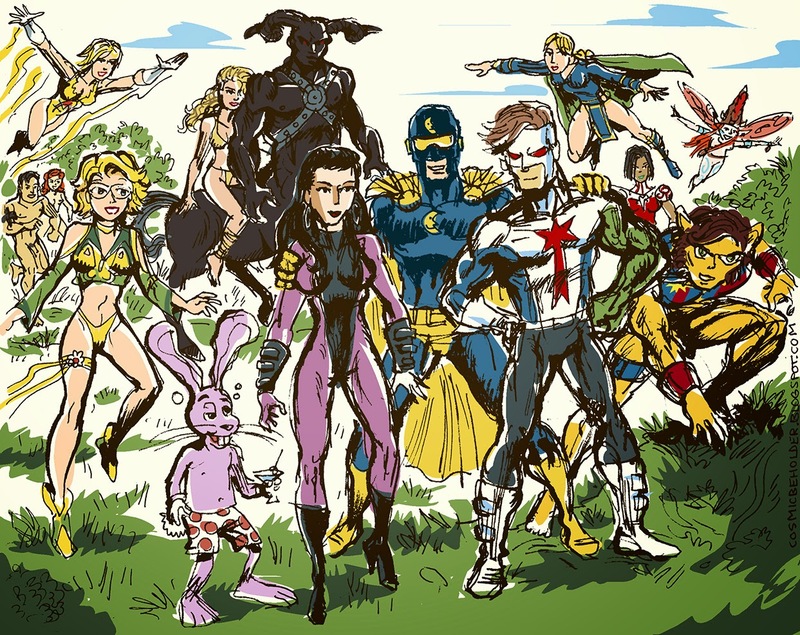 Click on their names to find out more about them, or visit the team's page on the Public Domain Superheroes Wiki. I based this living tribute faithfully on an existing image of them, though I took one small artist liberty: It was mentioned that Dr. Acacia and Jenny had a relationship in another reality, and I figured that maybe they continued in our own reality as well. The characters of Jenny Everywhere, Astro-Man and The Outworlder are available for use by anyone, with only one condition. This paragraph must be included in any publication involving Jenny Everywhere, Astro-Man and The Outworlder, in order that others may use this property as they wish. All rights reversed. Tales To Behold 4, Page 45: Who Dares To Call Upon Might Gazoom?! One of my favorite splash pages of the series. Hope you'll also like it! The latest print issue of Tales To Behold is in the works, to come out for Comic Arts Brooklyn on Nov 8th! Don't miss this amazing event, it's free to attend and features an amazing array of talent from the Indie Comics and printmaking scene. All the my artwork for the new book is done, now a bit of putting it all together, and off to the printer! The cover is actually already done, riso-printed by the awesome Kris Mukai who works down the hall from me in the Pencil Factory, and will also be exhibiting her work at the event. Oh Yeah! We had something like this before! 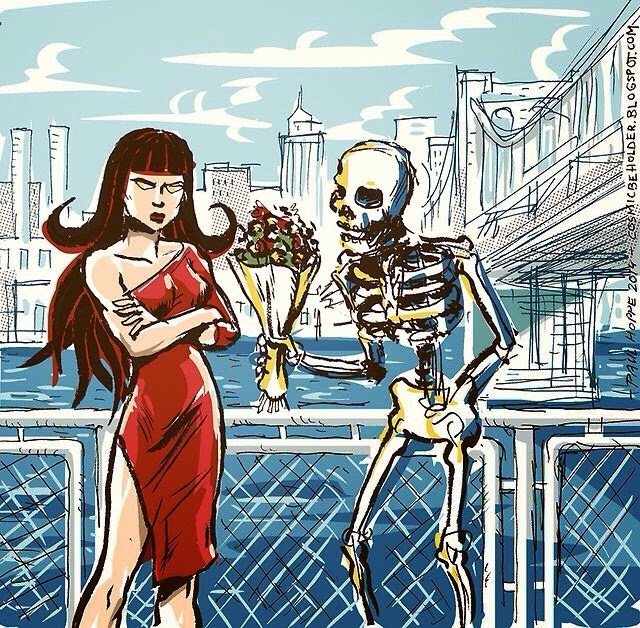 It’s what you get when The Worst Man In The World / a Living Skeleton wants to distract a world- world-destroying Cosmic Entity by showing her one of the greatest accomplishments of the known universe: The All-American Date. 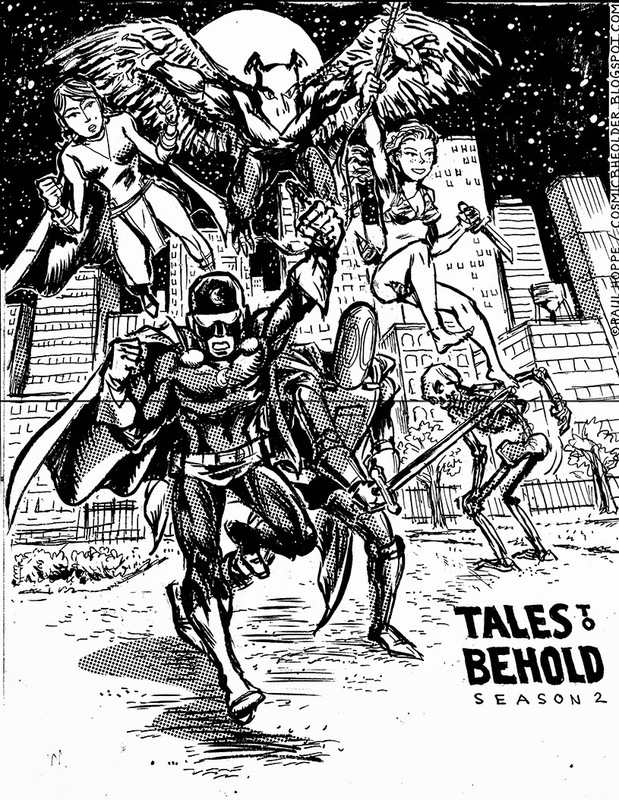 Check out the story about Armagedda and Armstrong Fatbuckle online on THE BEHOLDER, or in Tales To Behold #3 from BirdCageBottom Books . 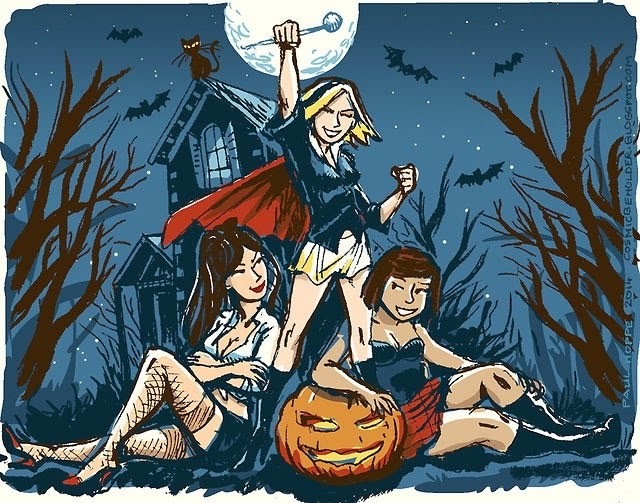 A while ago I did a 4-page, full color comic for the annual webcomic crossover event Halloween Cameo Caper. I was kind of early with my submission, for time reasons, but it was real fun to do it. Now, seeing all the contributions coming in, I got inspired to do a little reprise piece, featuring Centennia and Jenny Everywhere as pictured in a drawing by Aggie Janicot, as well as characters Andrew and Marie-Ange from the webcomic Autumn Bay. 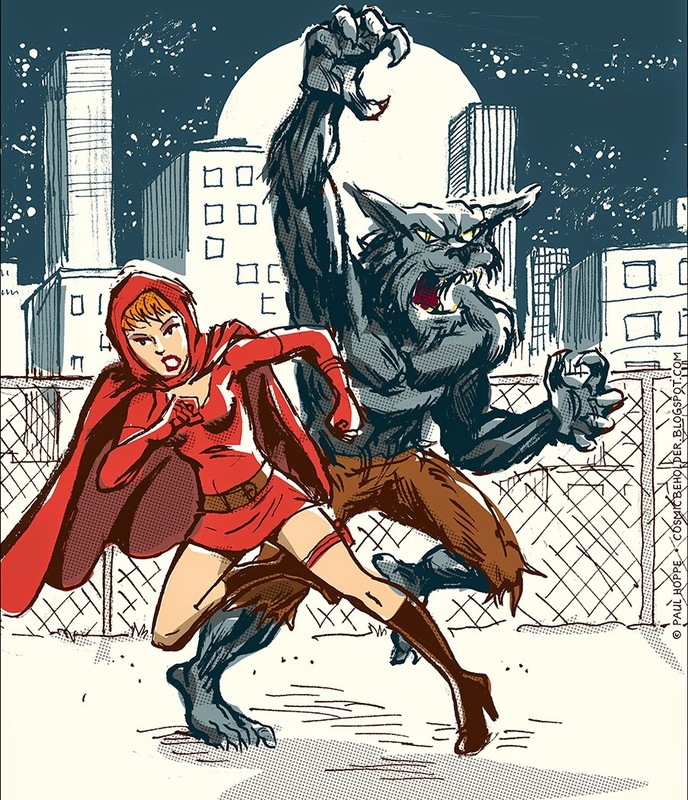 This time it’s my super team Red Riding Hood and the Big Bad Wolf– special agents that blur the line between good and evil! 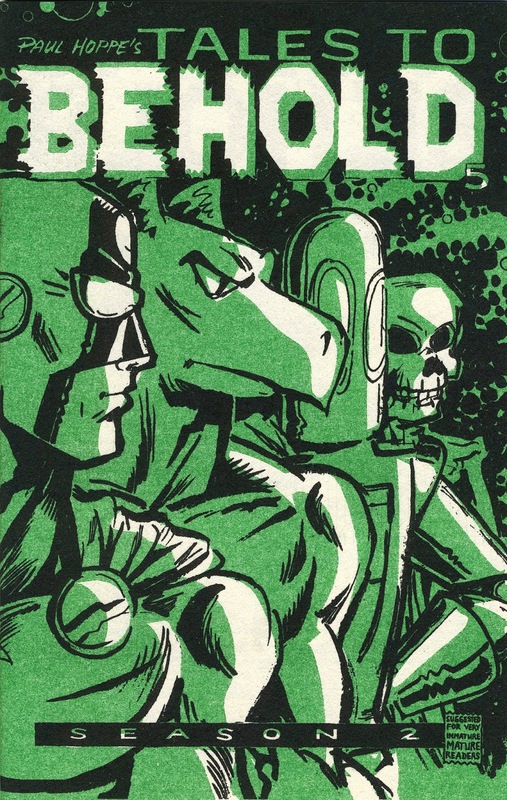 These guys first appeared in Tales To Behold #1, and subsequently in Journey Into Misery #4 and #5. Jenny Nowhere is getting impatient! What new, nefarious scheme will she come up with? 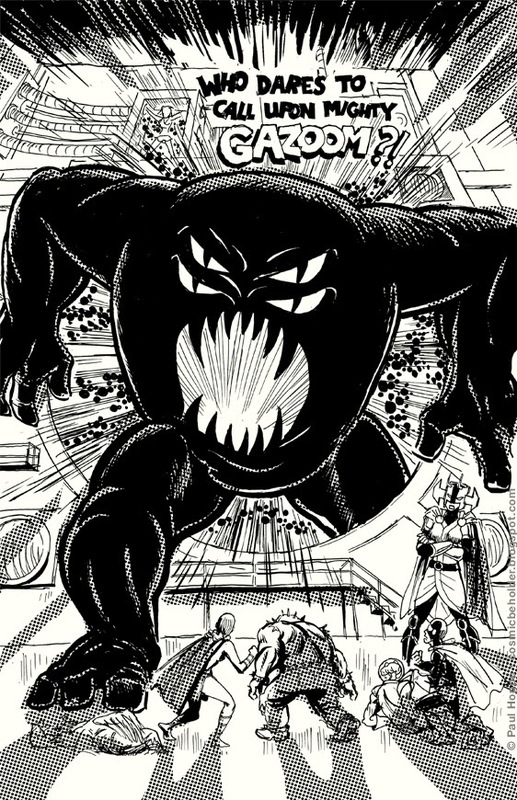 One of the villains from Tales To Behold. Testing some colors on her. Her first appearance is here, and her second here. Also in the current story. And read her adventures online soon here on The Beholder! More pics of her here. Tales To Behold 4, Page 42: Changing The Odds! of this series to use that headline! 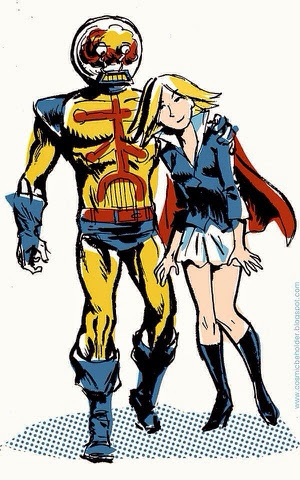 Dr Brain patronizing his super-villain witch daughter Jesse. See more of their adventures here on THE BEHOLDER. 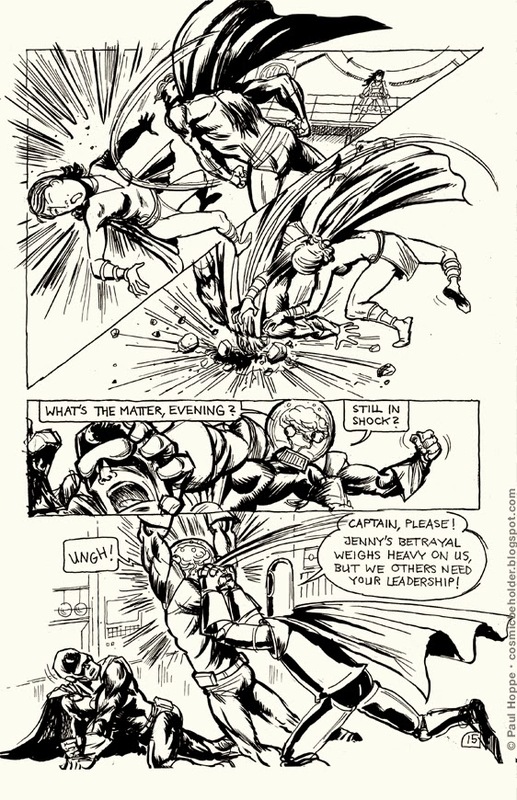 Can Captain Evening get his act together to save the day?